This is a motion activated speaker system. It plays a sound file from a SD card when the PIR (passive infared) sensor detects motion. 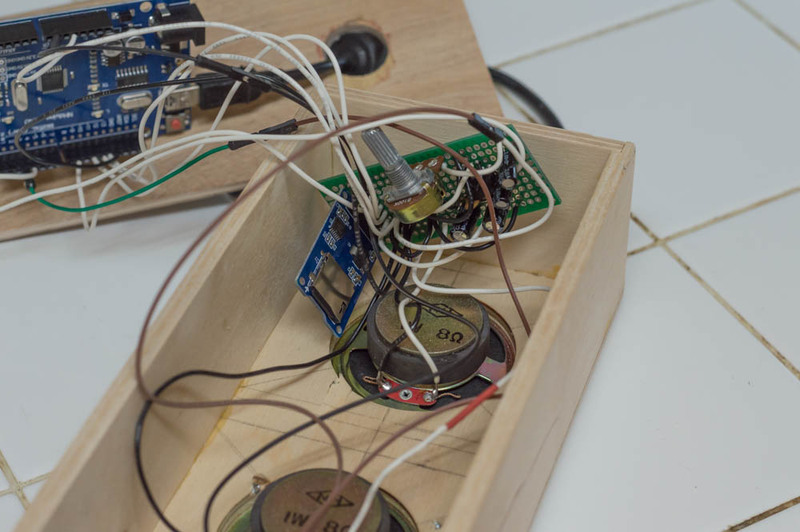 It uses an Arduino, PIR sensor, SD card reader, and an amplifier circuit. When the PIR sensor detects motion, it sends a high signal that is then read by the Arduino. The Arduino then randomly selects a WAV sound file from the SD card and sends it to the op-amp circuit. 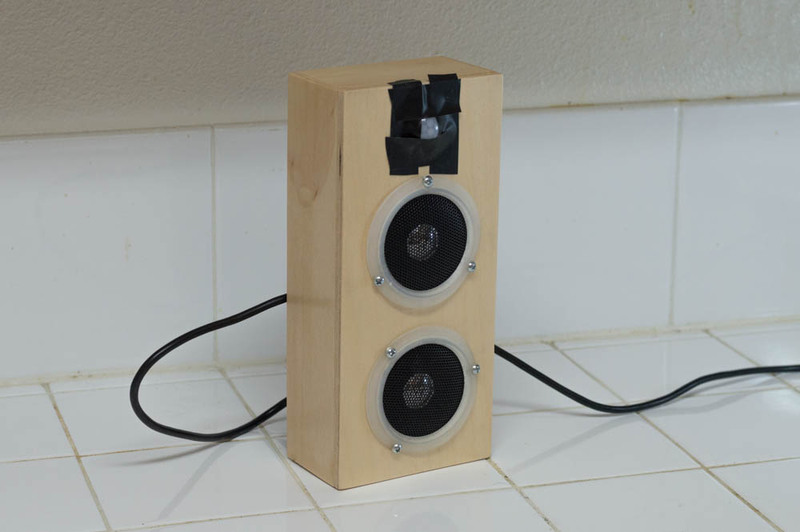 The sound is played through a pair of 8 ohm speakers. I’ve placed capacitors on across the power rails to filter out unwanted noise and static. There is a potentiometer for volume control.